With AFI Fest screenings of “Selma” and “American Sniper” — one upgraded at the last minute from a 30-minute preview, the other as an unannounced sneak — the Oscar race was remade in a matter of hours last night. That “Selma,” which features David Oyelowo playing Martin Luther King, Jr. in the story of a Civil Rights milestone, should be a contender was practically a foregone conclusion. What’s thrilling to hear is just how good it (apparently) is, and how smoothly Ava DeVernay makes the transition from the lyrical intimacy of her great “Middle of Nowhere” to the big canvas and broader strokes of inspirational period drama. Although there are plenty of reports on the screening itself and the ovations that followed, full-length reactions so far number just two, but we’ll update this post as they come. “Selma” opens on December 25. Most Oscar-season end-of-year films about American history creak and groan into theaters like mannequins wrapped in grade-school civics lessons: Blank in the eyes, hollow on the inside, handcufffed and hobbled by the kind of history that gets written by the winners. Director Ava DuVernay’s “Selma” — screened in its entirety at the AFI Film Festival Tuesday as a last-minute change from an originally planned 30-minute preview — is the exact opposite of the noble, immobile sepia-toned biopics that usually define the Awards season. Instead, it’s vital, funny, human and complex, with British actor David Oyelowo playing King, as Paul Webb’s script follows the icon through the tactics and truths of a historic civil rights protest march King led from Selma, Ala., to Montgomery in 1965. DuVernay’s earlier films such as “Middle of Nowhere” have been intimate dramas. So this epic tale with a large cast of characters and violent confrontation scenes represents a departure for the director. Yet the strength of the film is the sense of proportion that DuVernay demonstrates. In a season of so many bloated, overlong films, this two-hour recreation of a few crucial months in 1965 seems just the right length. Intelligently written, vividly shot, tightly edited, sharply acted, the film represents a rare example of craftsmanship working to produce a deeply moving piece of history. Selma is a gift to the Oscar season. Director Ava DuVernay created a film that’s not only important but also a work of art. I’m blown away. 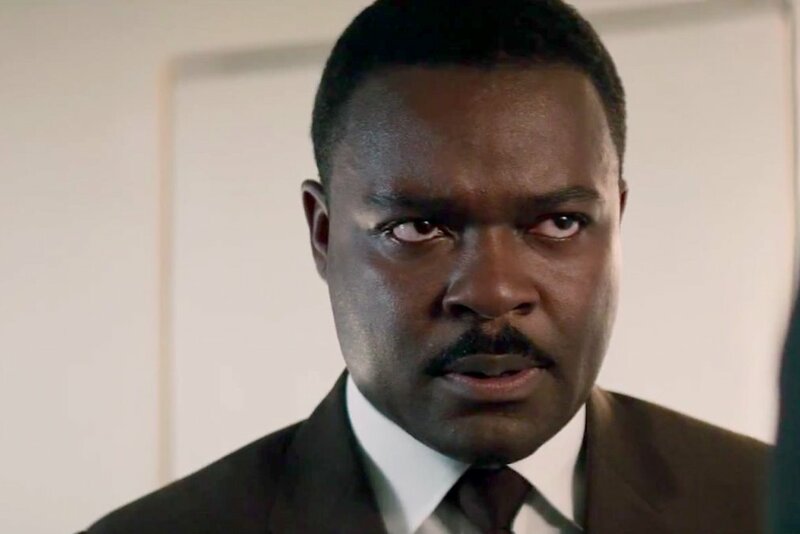 Oyelowo as MLK in SELMA: one of the greatest performances you’ll ever see. SELMA: more soul, emotion, and urgency than any biopic in memory. DuVernay, Oyelowo, and Bradford Young are MAJOR talents. David Oyelowo just killed it in #Selma unbelievable performance from a terrific actor. Ava DuVernay’s SELMA is a triumph! Standing ovation. First that I’ve seen at #AFIFest. Oscar contender across the board. Typing thru tears. David Oyelowo is as mesmerizing as you’d hope, playing MLK, in SELMA. And a true MVP is DP Bradford Young. Exquisite camerawork. Huge standing ovation for #Selma! @AVAETC‘s film is so special & wonderful and all I want is everyone else to see it too so we can discuss.